Donesafe's cloud based safety hazard reporting software streamlines your end to end hazard process. Make life easy for your workers with Donesafe's intuitive and modern software that removes productivity barriers and typical frustrations. 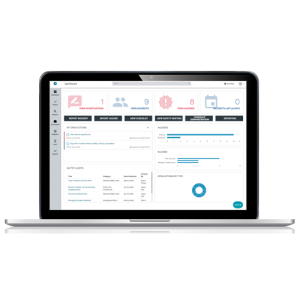 On a management level, save valuable time previously spent on locating information and compiling meaningful reports detailing safety hazards, near-misses and dangerous conditions across your organization. Connecting what is happening in the field to the boardroom in real-time will ensure your organization can instantly identify any risks or hazards, while also remaining compliant with legislation. Do away with multiple paper and disparate systems and consolidate into one online platform. 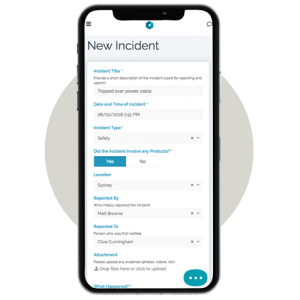 Manage the entire safety hazard lifecycle: Hazard Reporting > Response > Investigation > Corrective Action > Tracking > Summary Report and any other steps your organization may have. By aggregating hazard and control information from across an organization on one system of record, Donesafe hazard management software allows teams to prioritize their activities based on business imperatives and the latest risk assessments. Prevent, predict, and reduce worker injury and claims by ensuring regulatory compliance to local and international standards. Donesafe conforms to all worldwide legislation, including state-based OSHA (USA), ISO 45001, AS/NZ 4801 and other regulations. Encourage hazard completion by eliminating productivity killers with intuitive and fast to learn software. Donesafe is fast and easy to use for workers, managers and board level users. Donesafe's simple drag and drop builder makes it quick & easy to build mobile-friendly hazard forms. Take our pre-built templates and change them as you wish, or replicate your own from scratch. Add logic to make your forms smarter and faster to use. Add conditional logic to display or hide fields based on previous responses. Increase data accuracies by pre-filling data where possible, such as manager, location, current time, or detailed data (eg - fill in a vehicle licence plate and the form automatically pre-fils the VIN number, make, model and historical hazard reports). Hazard forms are never going to stay the same. Managers can make form changes from within their Donesafe settings area in minutes. Add in a digital signature field, change the way a question is worded, or delete a question you no longer need. Manage multi-step hazard reporting processes from start to finish in the way you define it. 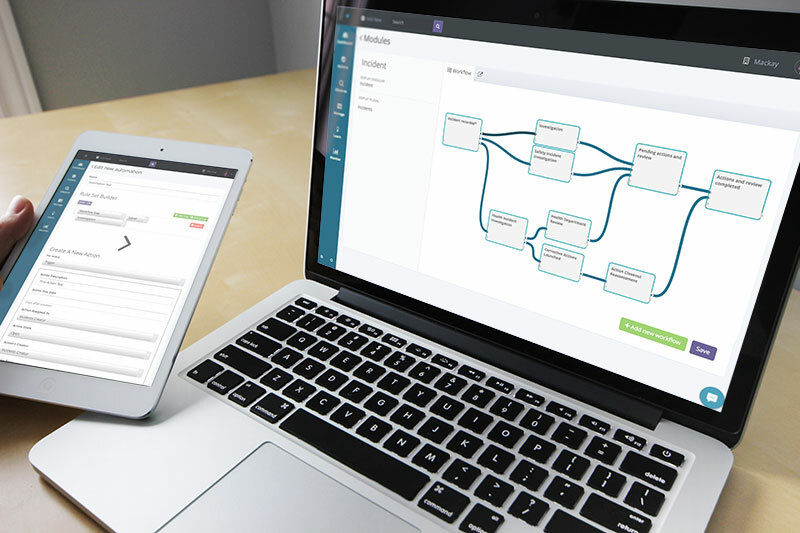 As you would map your workflow on a whiteboard, Donesafe allows you to map it on a workflow canvas. Workflow steps may include; Hazard Reporting, Response, Investigation, Corrective Action, Tracking, Summary Reports. Promote productivity through automation. 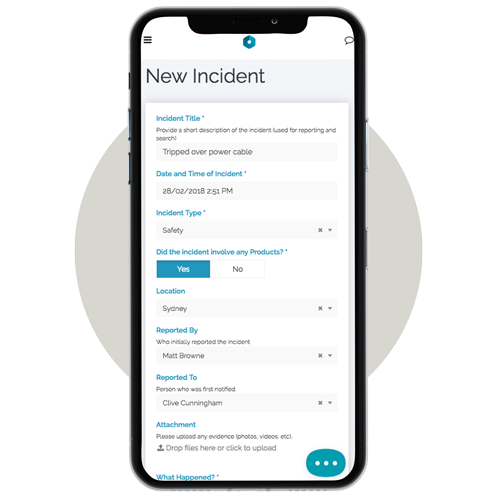 Easily assign follow up tasks related to hazard findings with automated email notifications sent to workers and their supervisors for upcoming, pending and overdue tasks, ensuring nothing falls through the cracks. Standardize the hazard process across departments, facilities and locations. 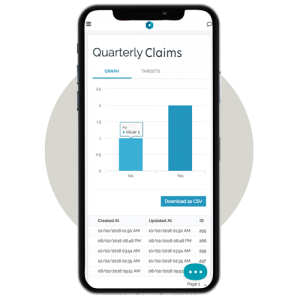 Access standard mobile reporting forms, ensuring consistent hazard data is recorded organization-wide. Keep your finger on the pulse and view the right information at the right time on a one-page dashboard. Drill down into reports to analyze how to continuously improve your systems. You don’t have to be in the office to keep your finger on the pulse. Access your safety Dashboard and make sure issues are resolved quickly and efficiently; no matter where you are. Send immediate notifications directly to your team in real-time from the field. Let them know of any risks or failed areas once hazard forms have been completed. Most organizations have a safety, quality, environment and supplier systems in place, whether it be paper based, digital, or somewhere in between. Donesafe helps you get to the next level by promoting worker participation and leadership through a simple and robust platform everyone can use. Increase reporting activity. 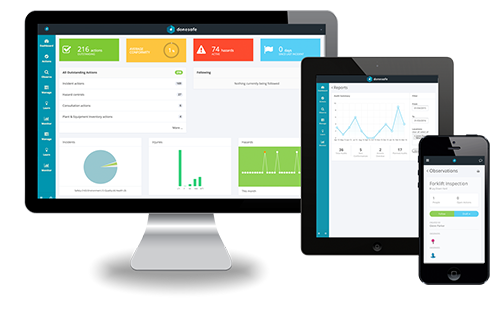 Donesafe boasts a market leading user interface, and combines all safety reporting into the one place. No training required. With a couple of taps, the right people will get alerts and associated actions in real-time. Responding and resolving issues is faster than ever before. View high-level data in easily digestible reports. Continuously evolve your safety leadership based on insights you can trust.